Homeowners are constantly going head-to-head on which roofing material is the best. Well metal has come up against one of their biggest competitors yet, lead coated copper. What Is Lead Coated Copper Roofing? Lead coated copper sheeting combines both copper and lead, making it the more superior roofing option. Copper is lightweight, flexible, resistant to weather and corrosion, and extremely durable (an average lifespan of 75 years!). The lead material, helps further shield the roof from weathering, and is very malleable, making this material combination ideal for wrapping facades, chimneys, and protecting roofs from the elements. While we already mentioned durability and flexibility above, there are many other benefits of lead coated copper roofing. Leak resistance: When properly installed, lead-copper panels are watertight. Versatility: It can be used on steep or low pitched roofs, and can either be painted or left with its natural look. Stain resistance: Not only does it avoid corrosion, but it doesn’t stain easily as well. Environmentally safe: The lack of solubility that prevents staining also prevents there being a health hazard or contamination in the environment. 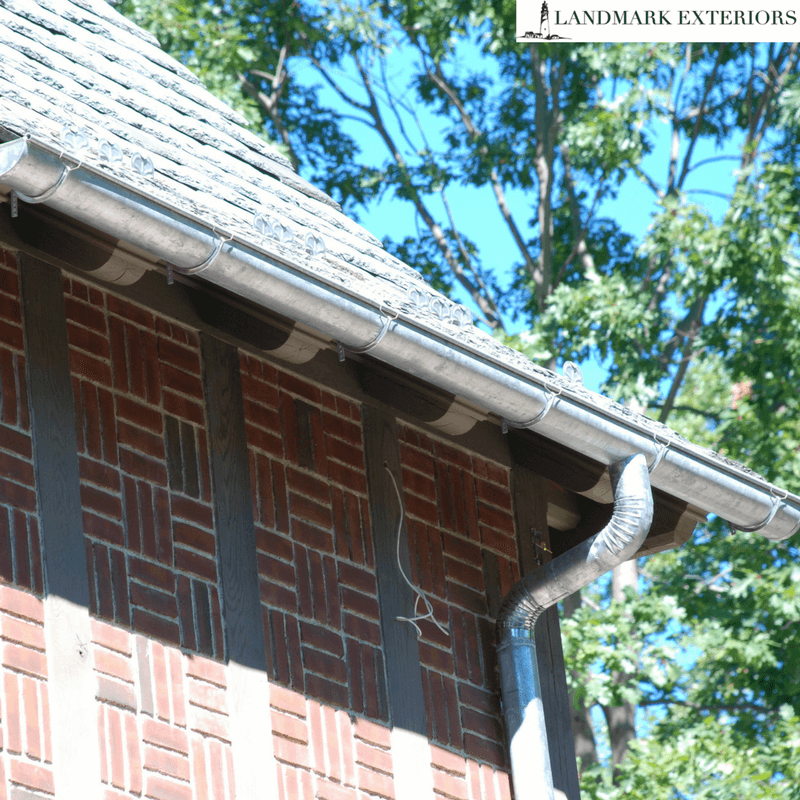 To learn more about lead coated copper, turn to Landmark Exteriors! We offer only top-quality roofing materials to provide our customers with durable, weather-resistant, and guaranteed roofing solutions. Our experienced and well-trained professionals are experts at installing repairing and are ready to take on your next home renovation project! To speak with our professional staff about a new roofing installation, give us a call at 203.838.3838, or visit us on the web.